Greetings to you all brothers and sisters and especially Muslim Eritreans in this Holy month of Ramadan and the soon coming Eid Al Fitr Holidays. Before I go to the main subject of this article, I want to shed some light, or clarify it—for lack of better word—certain issues and points on my last article, One Day In Ramadan; I need your patience and time. It is natural and it goes with the profession of journalism to receive communications in the form of comments, e-mails, phone calls from readers, observers and even from the man in the streets. Back in the day, in PFDJ’s Asmara, independent journalists used to get countless letters and messages from citizens and news-hungry readers. There were days when we receive hundreds of letters a week. Most of the contents of the letters or letter to the editor were concerning the day to day abuse and lack of competent administration by the Eritrean regime and its impact on the population in general, and about many other troubling issues of day, from the troops in the trenches to the common fruit sellers of the marketplace (shuq). 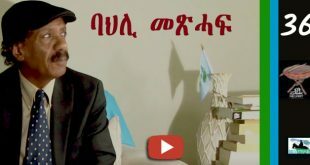 There were also frequent threatening phone calls and personal interactions from die-hard regime supporters , PFDJ bureaucrats and government officials and occasional Wedi Aforqi parishioners who happened to live in the Democratic Western (imagine getting a warning or being snubbed by a person who comes from a land of thousands of newspapers and countless dailies? Have you ever seen a pro-Gaddafi Libyan in America or a pro-Kim Jong Il Korean in Australia?) ”You better stop or else…agebab tegeyerka yihayish intay gedeska iziom ketfiukha iyom.” After escaping the killing land and settling in the west, I found many Eritreans in the Diaspora, way dumber, much more fearful of the tyranny back home, those who are less enlightened and who intentionally choose to be blinded and full of dread and terror than our people back home. 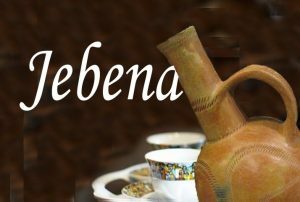 In many ways, some Eritreans inside the Shaebia kingdom are a lot more courageous and gutsy than their fellow much luckier and freer countrymen and women in the democratic nations like the United States and others! This might seem farfetched and amazing and even dispiriting, but true! Am I wrong? Though the number and size of such kind of lowlife dictatorship worshippers and despotism addicts is dwindling by the day, for quite some time now, it has been really scary and somewhat an enigma to me and many other freedom and dignity loving Eritreans. One of the most astonishing e-mails I received regarding my article “One day in Ramadan,”is from an old Eritrean friend, an acquaintance from the University days, who now lives somewhere in the mid-west of the United States. He told me that he is betting with his friends that the article is not mine but was posted or manipulated by www.awate.com owner Saleh “Gadi” Johar…ita article natka aytimeslenin gadi gele geyru tewawywa alo imber… Can you believe such baloney and utter nonsense, from a relatively well educated person? Why would Gadi manipulate my article? Lack of writers? So that it sounds more attractive and appealing as if I am not telling the facts? Am I not speaking the truth albeit in a very tender way? Who can stand against it if the real truth is exposed on what is going on in Eritrea under the HIGDEF terrorist group and its deliberately closed eyes and purposely deafened cohorts? I didn’t even depict one percent of the reality, vivid picture and mind boggling tragedy befallen on Muslim Eritreans and their families under this inhuman, nonbeliever heartless Maoist/terrorist regime. 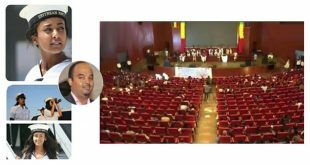 For the record, Brother Saleh Gadi is an honorable, principled and one of the few Eritrean media professionals who really and passionately preaches and practices the journalist’s code of ethics and media principles. With few corrections of my North Korean English, even for that with permissions, Gadi is not a manipulator of articles or is not in the business of deceiving and lying to millions like the Haddas Eritreas, the Dimtsi hafashes, the TV Eres and the coward website owners who while living in the democratic West and enjoying full free press rights and privileges, are falsifying reality, misinforming the society, defrauding and cheating almost daily and are so lowly and too feeble to stand for the truth and justice but too willing to lick the boots of Yemane Gebreab (Eritrea’s Goebbels) and other Higdef henchmen for free (usually) and occasional few dollars! Esteemed readers and Eritreans all over the world, you know very well whom I am talking about and you don’t need to see more evidence to see who stands for true freedom and information, liberty and emancipation; and who unashamedly was sold to be used as a prostitute by the ever decaying and crumbling Mafiosi group. Saleh Gadi, is a stalwart advocate of free press and a steadfast fighter for dignity, human rights freedom of the press and media, and staunch supporter of the nascent Eritrean independent media and its journalists for a long time. 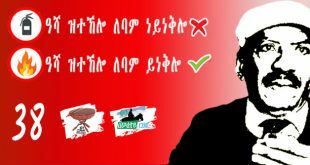 Saleh Gadi didn’t start to deplore and expose the inhumanity of the Hitlerite Higdef group and stand firmly for citizen’s right now, when it is almost trendy (fashionable) to grumble and curse the barbarity back home among Eritrean…” anta izi sebaay tetselilu mesleni hager titefii ala!” Gadi and few other progressive Eritreans correctly diagnosed, pinpointed and told the whole world about the psychosis and the disastrous impact of the PFDJ regime and its leadership for almost 20 years or more now. 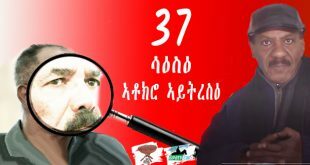 When freedom of press and conveying your feeling was a taboo among Eritreans and giving an honest opinion about the fox of Nakfa was tantamount to blasphemy, and the majority of Eritreans were dancing to the tune of Isaias’ version of zenga zenga, (FECHEW FECHEWCHEW IMBAH BEL KEM LAHMI INTZEYELO TIDSEQ BIBETRI….WEGAH TIBEL LEYTI SEBAAY MIS SEBEYTI) and other absurdities, Saleh Gadi was one of the handful of Eritreans who unfalteringly stood for impartiality, equality, fairness, rule of law, the rights of Ethnic and linguistic groups in Eritrea, democracy, elections and above all freedom of the press and the right to express your feeling without fear and more importantly, to quote the Caribbean expression-RESPECT! 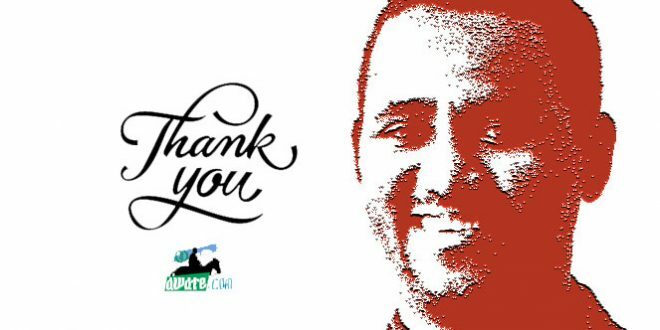 Thanks a lot dear friend and fellow compatriot Nasser Abdella. I really don’t deserve all these. I do not have enough words or ways to express adequately what you and your upright God fearing incredibly generous, extraordinarily and extremely nice family in those dreadful and hard to deal days in Asmara. I was almost an orphan and destitute, but you and your family were big hearted and my solace and an oasis in that parched land and time with hardly any kind of God fearing people left. Despite a large family and limited income and economically tough times, your charity and unconditional love will be entrenched in my heart forever. Nasser Abdella (wedi Abdella) was one of the few enlightened and open minded students at the University of Asmara and in life in general in those uncertain and confusing days. Nasser, my good friends like Ghezae Hagos Koba, Berhanu M Said, Awelkher Idriss the late Abd-el-Kader and Kidane Aranshi and a few other students at the university were not only trusted confidants and best friends, they were among the minority of students of the time who really felt and were convinced that the Eritrean regime and its leadership were leading the nation and an entire generation in to an abyss and unimaginable disaster, which will be tremendously hard to mend or correct thereafter. Like millions of Eritrerans,and the naive and unsuspecting masses in general, the majority of University of Asmara students were honest, patriotic , full of zeal and energy to rebuild a new nation, ready to render their service to the motherland any time, up to 100 percent and unquestionable even diehard believers in the front and its leadership, specially the president (despite the fact that the president and the PFDJ party boss never set foot at the University). If you are an educated person who happens to read and know something, with access to many things than the general population and still blindly accept as true or revere anything without questioning, scrutinizing, deep thoughts and trying to see the other side of the equation, then something big is wrong with you or you are ailing, academically speaking that is. That was the prevalent problem in Eritrea and I think the main reason for tyranny and utter fascism to flourish and prosper unchecked for a long period of time and devour its precious children and tear down the very fabric of the nation in front of our very own eyes! I had had hard time discussing even mentioning the hot issues and national matters of the days, from the brutal treatment of the Jehovah’s witnesses to the barbaric kidnapping of many Eritrean Muslim citizens, to the brazen aggression and wars with neighboring countries without an iota of concern for young Eritreans’ lives and welfare of the entire nation, with my fellow University student colleagues. Some take you right away as non-Eritrean, others thought you are a traitor, still some others would think you must be working for some dark forces (izi wedi ayteayen mis amerika gele keyhalewo ayterifin). Nasser Abdella and few others were among the exceptional crowd of Students whom I felt free and really confident to discuss, analyze, argue, try to predict and sometimes disagree with, in those fateful, unforgettable and in many ways the beginning of insanity of the Higdef regime days. I still have a very affectionate and fond memories of my brother Nasser—from Sawa to Haikota, University to ministry fithi, and many others. 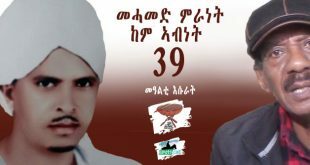 Nasser was one of the tens of thousands of highly educated and vital Eritrean in the segments of the society and youth who are forced to flee their land, family and life and survive as an exilee in some far away lands, till the day of reckoning and the dawn of liberty arrives in Eritrea. The Washington DC metropolitan area and the whole USA is in full gear in preparation for the inauguration of the Martin Luther King Memorial. If the weather permits, and the much anticipated hurricane Irene subsides, President Obama will officiate the huge ceremonies, conventions, sermons and other services related to the inauguration of the massive monument, to one of humanity’s greatest and most respected icons, the late civil rights leader and cease lease fighter of freedom and justice, the reverend Dr.Martin Luther King Jr. this coming Sunday (As of this writing, it looks like the opening ceremony might be postponed because of the massive hurricane). We Eritreans can learn a lot from the life and enduring legacy of this rare historical figure. King’s relentless fight against injustice, indignity, the daily humiliation, dishonor and catastrophic existence of his people, were with few parallels in modern history. Martin Luther King unique and a special person in that he did not only fight valiantly and courageously against racism and the rights of his ilk, the black Americans, he was one of the rare leaders who stood against prejudice, injustice and discriminations in all of God’s earth. He was one of the first to condemn and denounce the Vietnam War, US military adventures in south East Asia and the ill-treatment and indiscriminate killings of the Yellow man, as he used to call the Asians. Despite the colossal risk of being labeled as traitor and denunciated even by some leading African Americans, King stands firm on his ground, his conviction and his unwavering love for justice and equality for all. A shining star of our time, he was one of the first in the US to struggle for equal rights and justice and to speak against crushing poverty, the moral and cultural decay of the American system in denying millions of its citizens the basic rights of work and fair living wages, against calamitous militarism that resulted in the lose of billions, and for the God given rights of every man and woman not only in the US but all over the world. His motto and guiding principle was “Injustice somewhere is Injustice everywhere…” What a man, what a legend what an extraordinary persona! When King was cut short by a racist assassin’s bullet in 1968, he was about to lead a march for rights, against appalling labor conditions and unfair wage practice of the sewage (fagnatura) workers in Memphis, Tennessee! One of the greatest human beings to live, a Nobel prize laureate, an internationally recognized civil rights leader, a man of such a stature and importance dying in the fight for sewer workers, speaks more than anything else in describing his life, the amazing times, his unflinching struggle for equality and rights. It is a lasting legacy and its epic contributions to mankind, and the eternal battle for justice, equality and equal rights, human dignity and decency and respect lives on. As long as bloodthirsty psychopaths and inhumane bestial regimes and political system are in existence in this world, the timeless lessons and exemplary life of Martin Luther King will live on forever. When it comes to justice, fairness, respect of others regardless of their faith, creed, race tribe, even handiness and standing for the truth, we Eritreans are one of the worst I ever witnessed in my short and uneventful life. We really despise the poor, the unprivileged, the unfortunate and we are the highest worshippers of the powerful whatever the crimes and the bloody deeds (even if they killed our brothers and degraded our women); we are zealous and obedient slaves of the affluent, the autocrats and to men of the times (seb gize) irrespective of their transgressions, inhumanity and unimaginable malice and cruelty towards our fellow brethrens. The Eritrean highlander is a hard working (and a hard drinking), diligent, disciplined, resilient and sacrificial (to the point of cowardice sometimes), and in many ways an honest and sincere believer of authority, nationalistic, sometimes to the point of chauvinism. But when it comes to compassion, kindheartedness, helping the needy, charity, sympathy, caring for the unprivileged, standing for justice and virtuous causes, fairness and equality, and above all humanity, the Eritrean highlander’s heart is as hard as a rocky and treacherous mountain (gobo) and as opaque and dense as a winter fog . Is that not true? Many of us become happy, and to the point of euphoric, when we see our brother or friend’s failure, disastrous situations or some other personal calamities! There is a wicked and somehow a true portraying proverb of the reality and the true feeling of the Eritrean highlander toward his fellow brother, cousin, uncle, friend or countryman.”Hawka kitmewit imber zeydeli kihalfelkas aydelin iyu (roughly translated-your own brother doesn’t want you to die, but is happy to see your downfall!) Do you need more evidence of cold heartedness, lack of understanding, empathy and pettiness than this? Mustafa Abdel Jelil is a frail but an unimposing man with few words and little charisma. He didn’t have a master’s degree from Harvard or post-doctoral in something from some universities in Europe. A modest and pious man from the eastern mountains of Libya, a humble judge and a onetime minister of justice under Gaddafi’s Libya. Then, why is he loved and adored by Libyans and stands much taller than the other members of the transitional national council (TNC)—the revolutionary movement that played a key part in toppling the hated Gaddafi regime? It is because Mustafa Abdel Jelil was a just, honest, and an incorruptible official in Muammer Gaddafi’s delusional and nasty regime, and many Libyans took note of that. In 1996 Gaddafi’s most hated henchman and top security official ,Adel Al-Senussi massacred some 1900 prisoners in the notorious Abu Selim prison in the outskirts of Tripoli. The crime and the bloodbath was so bad and shocking even by Gaddafi’s standard that some soldiers e went mad or become addicted to drugs to escape the haunting reality and throbbing nightmares! Most of the prisoners were thrown in to the dungeons suspected of having militant Islamic tendency and their only sin was asking for better conditions in the prison and for more visiting time from their families. Due to that, when the prison guards started beating them, a riot ensued and they were mowed down mercilessly by Gaddafi’s special killing squads and Senussi’s Dogs. Few people were daring to speak about the sadistic crime and butchery let alone to condemn it. Even fewer Western governments raised their voices to denounce this immoral act against humanity. In 1996 and till all Libyans rose up in arms, the Western world was busy enticing and wooing the erratic “brother leader” (for oil of course!) And nobody cared about the gross violations and the blatant day time carnages as long as the high quality oil flowed and the voracious and insatiable companies continued to do business and money was flowing .Who cares if some two thousand Muslim fanatics perish in some unknown prison in the desert? Some times you don’t have to be a rocket scientist to clearly understand and know the West’s hypocrisy and double standard. Judge Mustafa Abdel Jelil was one of the first to deplore and lament about the criminal and un-Islamic act of Gaddafi and his inhuman followers. Under great risk to himself and his family, he personally visited and helped a lot of the families of the martyrs. It is said that he used to walk long distances just to give some money, food and other stuff to these immensely suffering and tormented families. He was not and still is not a wealthy man, but he was not only a caring and a giving gentleman, he was a man of high moral standards and uncompromising ethical values, a difficult and hard to find quality in Gaddafi’s loony administration and openly nutty regime. Mustafa Abdel Jelil personally convinced and worked tirelessly to convince Saif Gaddafi (zenga zenga’s son) to help the families of the martyrs financially. Despite Gaddafi’s stern warning and many rebukes from the green book worshiping cadres, Abdel Jalil tirelessly worked for justice and secured some compensation fund to these and other victims of Gaddafi’s shameless and murderous acts. Sometimes in mid 1998, when Abdel Jelil was working as a judge in the ministry of justice (as if there was justice in Libya, remember ministry fithi? ), someone asked Judge Mustafa why he always looked weary, tired and sleep deprived. 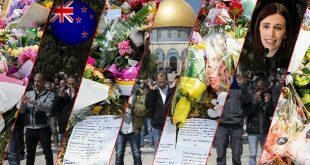 To this, the wise and the sanctimonious minster replied, “… A true Muslim and a true believer couldn’t sleep well while crimes and injustices are done around him every day, I will get a sound sleep only when justice is done and Allah punishes the transgressors …! Till that time I cannot…” What a great and an exceptionally upright man! What an honorable and righteous man! 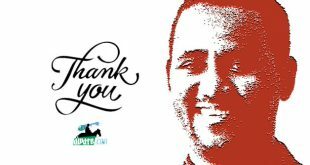 The fame and saintly actions of Mustafa Abdel Jelil was not forgotten by his fellow Libyans and that is why he is the only one almost universally loved and a highly respected Libyan among the members of the transitional national council. As I stated above, there are many highly educated technocrats and much more well read and travelled officials in the Benghazi based Transitional council than Mister Abdel Jelil. But few meet or even come close to the high moral threshold of the blameless and honest character and personality of judge Mustafa Abdeli Jelil. Standing for truth, justice, equality and fairness to all, is not a clothing fashion or car model that constantly changes by the day. It is a God given eternal character engrained in every man and woman and an everlasting dream and aspirations of mankind from times immemorial. 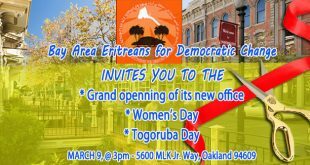 We Eritreans can learn a great deal form the above mentioned persons and events. We should feel the pain, deprivation, day to day suffering of our fellow countrymen and citizens. 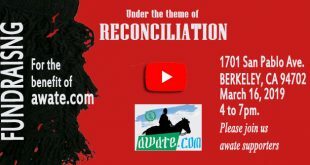 The majority Eritrean highlanders should begin a sincere and honest dialogue and effort to truly feel and commiserate with the plight and excruciating circumstances of fellow Muslim nationals. When Eritrean Muslims are snatched from their homes and beloved families to rot and die in unnamed jails all over the land, we should be the first to revile and deplore such inhuman acts of the BLACK NAZIS! For a long time, millions of Eritrean highlanders prefer not to look at or give only lip services and show shallow pity to the predicament and heart breaking true stories of our AHWAT ASLAM. 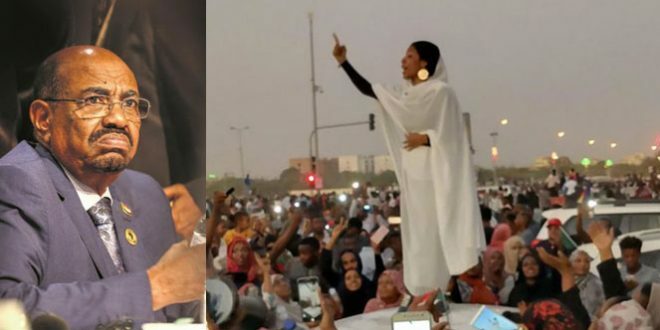 The sloppy and lame excuse that the Eritrean regime is oppressing and suppressing everyone equally, indiscriminately and this is not a big deal……dey mengisti issiyas nkulu zichifchif zelo…. Should stop from now on. In order to build a democratic, constitutional system, one that respects the rights of citizens and minorities, a normal law abiding member of the families of nations in Eritrea, we should start an honest national healing and mending process now. We should have the audacity and nerve to face our much damaged past and a little bit of humbleness to admit our intentional or unintended complicity in the misery of our people and devastation of our homeland. Of course, today after many years of hallucinations and drug addictions of (Higdef’s cocaine), many Eritreans, especially the Christian highlanders, are waking up from the deep and paralyzing sleep and are beginning to see the true nature of the ‘deqna indyom’ (they are our children) regime. Isaias and his fellow generals shouldn’t be allowed the title of being sons of the Eritrean highlanders. They are mortal enemies of Eritrea, Eritreans and all the peace loving people of the world! We should say in unison: He is not ours and is not one of us! Muslim Eritrean brothers also should understand and even sympathize with the dilemma and state of deception of their fellow highlanders. It is not easy to see clearly and comprehend the truth and reality, after half century or more of treachery, deceit, being told lies and terrorized by sheer intimidations. Remember, it took the Libyans some 42 years to wake up from their delusions, deliriums and state of abysmal existences. It is a moving and inspiring experience to see the rude awakening of millions of Eritreans on the sad and awful realities in the motherland and the true nature of the WEDI’DEY ADANECH regime. Today Eritreans of all ethnic and religious groups are uniting and continue to work together to topple and throw away this AREMIN regime and system to the dust bins of history. It is really encouraging and heartening to see Eritrean’s, especially the youth resistance and rising assertiveness towards the depraved regime of Asmara. News reports coming from all over the world, from those in the UK to the courageous youth of California and the indefatigable Eritreans in South Africa and elsewhere indicate the ever mounting antagonism and confrontation against the most repressive government that has few parallels in history. Eritreans are starting to say “enough is enough,” a long overdue voice which should have been said a long time ago. Eritrean writers, journalists, media personalities and information professionals have a big role to play in this regard. Quite a number of websites and media organizations have been doing a tremendously fantastic and great job. The main purpose of a true writer or a journalist is to tell the truth, state the facts and expose the unseen or hidden things going on in the land or among the society. A journalist ,a writer an author an essayist, a commentator or any other media personality, shouldn’t be afraid to stand for the truth and offend even the whole nation if need be! If one is only trying to appease, to be politically correct, afraid to expose and depict the real state of things, then it will be a big disservice to the people and the profession itself. When most of the USA nation believed that blacks were sub-human and not equal thereof, it was the courageous white American journalists and writers who vehemently wrote against this vicious set of beliefs and exposed the wretched and horrible existence of Black Americans and resolutely stood for reality and truth. They were not reluctant to write about the reality for fear of offending or affronting the majority. When Germany and almost all of Europe was occupied by the Nazis and preaching about racial superiority was the norm, there were gallant German writers who were not afraid in portraying the unimaginable crimes of the system and affronting the populace for their spinelessness and meekly conforming to the norm of the day. In a time and era where the Nazi’s guiding principle was the superiority of the Germanic (Aryan) race, and when tens of millions of Germans whole heartedly supported and fanatically believed in such ideology, it was not easy to face this and stand for the right principles of humanity, with obvious risks of imprisonment, torture and even death . We all remember the works of the outstanding Ethiopian Journalist and author Beaalu Ghirma under the Dergs. I am a simple writer and there are many much better and much more educated authors and critics than myself in many ways. It is almost impossible to live as a writer and journalist only in exile. But journalism and writing, to quote my friend and fellow Eritrean journalist and activist Ghezae Hagos Berhe, “is like a compulsion and a craving, hard to get do away with.” So, as long as time and circumstances permit and as long as the Almighty God continue to give me good health and energy to type words, I will try to play my role together with my fellow Eritrean journalists and others until the final culmination and inevitable downfall of blood thirsty cursed regime! I sincerely thank all those who conveyed their reassuring messages and heartwarming emails. Stay strong and stay tuned for more! To all Muslim Eritreans brothers and sisters all over the world and especially to those in the Eritrean hinterlands who are going through a very difficult time and endless agony, and who have kidnapped, disappeared, jailed or killed family members, I wish you a happy Eid. EID MEBRUK AND MAY YOU HAVE MILLIONS OF EIDS THEREAFTER! MAY ALLAH DESTROY THE KILLER OF THE FAITHFULS FROM OUR LAND FOREVER! AMEN! This is cool. Eid Mubarak..
while i was writting my comment some changes apeared on this site. And what I wrote desapeared. But I saw Ead Mubarek. Alena we Aleykum. my comment was ” truth,truth,truth, informative, and with real examples. all my respect to you. I want to learn more from you.